Looking for prosumers? Start with creative cities. Creative hubs are often emerging cities, not necessarily the biggest cities in the country. For creative work, we like to consider Austin, Denver, Portland and Raleigh-Durham. Bigger cities include San Francisco, Boston, Chicago and Baltimore. Richard Florida’s Creativity Index lists three Texas cities in the top ten, Austin, Houston and Dallas. One reason that On Your Mark moved to Austin almost 15 years ago was because it met all of the requirements above. Austin is a leading creative city in the US and a great city to do qualitative research (plus we always enjoy doing work in our backyard!). Is your city a creative city that we should consider for this type of research? Tell us why and what you enjoy most about living there. With technology moving so fast and new devices being released seemingly every week, it is hard for the consumer to justify having the latest and greatest while remaining budget conscious. I personally experienced this after purchasing the iPhone 4 in August and feeling regret when the iPhone 4S was released last week. This constant release of new products can lead to buyer’s remorse for consumers, which can be a major hurdle for companies. To ease buyer’s remorse, technology companies and retailers are now allowing customers “recommerce” their possessions, a concept that has been around for awhile but has just recently become common for products like cell phones. The classic model of this idea has been trading in cars. To help add perceived value, motor companies allow you to trade in your used vehicles for money back or discounts on a new car. Companies like AT&T and T-mobile are starting to apply this idea to cell phones by allowing customers to trade in old cell phones for newer models or discounts. AT&T, for example, exchanges trade-ins for a promotional card of value or permits the customer to donate this value to a soldier overseas. Not only does the consumer get to upgrade without the full cost, but the old cell phones are often refurbished and resold or recycled in a proper way. The implications are practical, environmentally friendly, and even philanthropic. Trading in with the company directly also offers value in the form of convenience. Although there are other marketplaces you can use, dealing with the retailer is a one-stop shop that makes the process easier on busy consumers. Perhaps consumers will be more inclined to buy if they know that they will eventually get some sort of return when they want something better. This concept could translate well into many different industries and products and encourage more spending on the part of budget conscious consumers. Game day is no longer a weekly American holiday just for men. With its increasing female fan base, football is rapidly gaining equality among both genders. The female NFL audience has increased to 44% this year, and it’s expected that this number will only continue to go up. Women, many long-time football fans, have become more active in recent years. Fantasy football leagues are commonplace since the competition was made possible online, and the number of female participants has grown steadily to its current level of 5.4 million. Many fantasy leagues are conducted exclusively by women and there is even a magazine, Audible, that is written by and for women football fans. Such dedicated fandom has now caught the attention of a big name – the NFL – which has created multiple campaigns targeting women. 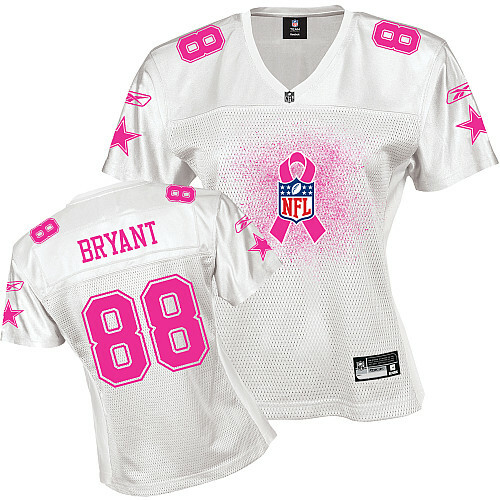 The NFL is now directly marketing to its female audience with new lines of women’s NFL clothing and accessories as well as a partnership with the American Cancer Society to promote breast cancer screenings. While selling more clothing and accessories to women is an obvious strategy, with $10 million in funding, the NFL is offering new styles of clothing that are actually fitted for a woman’s body. And demonstrating a long-term commitment to the merchandising needs of female fans, they have opened their first women’s-only retail store in New Orleans. Although the NFL’s merchandise strategy is no longer simply “shrink it and pink it,” the NFL.com homepage was recently, in fact, pink. But for good reason – the NFL has partnered with the American Cancer Society to create “A Crucial Catch,” a campaign encourage and educate women on the importance of annual screenings as a method to help prevent breast cancer. So while the NFL is making a profit from increasing women’s merchandise sales, they are not solely focused on going after pocketbooks. The NFL is making an effort and investment to prove they value their female fans, which will hopefully influence the efforts of their partners and advertisers for future seasons of the beloved sport.